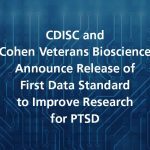 WASHINGTON, Sept. 27, 2017 – PRNewswire – Cohen Veterans Bioscience today announced its partnership with the Open Commons Consortium (OCC) and the University of Chicago to establish the Brain Commons – a one-of-a-kind cloud-hosted platform for unleashing Big Data that will be critical for the understanding of brain conditions. The data commons platform is uniquely positioned to aggregate and manage large-scale imaging data, genomic data, wearables data, and clinical data, as well as enable machine learning and analytics at state-of-the-art computing speeds to accelerate our understanding of brain conditions and brain health. 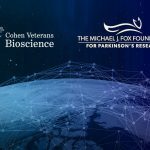 The Brain Commons will also leverage the partnership between Cohen Veterans Bioscience and Exaptive, Inc. to build a Cognitive City – a user interface to the Commons. The Cognitive City brings data, software tools, and people together in an ecosystem where interoperability, modularity, and community are core features and boundary-crossing through repurposing data and code is actively facilitated.